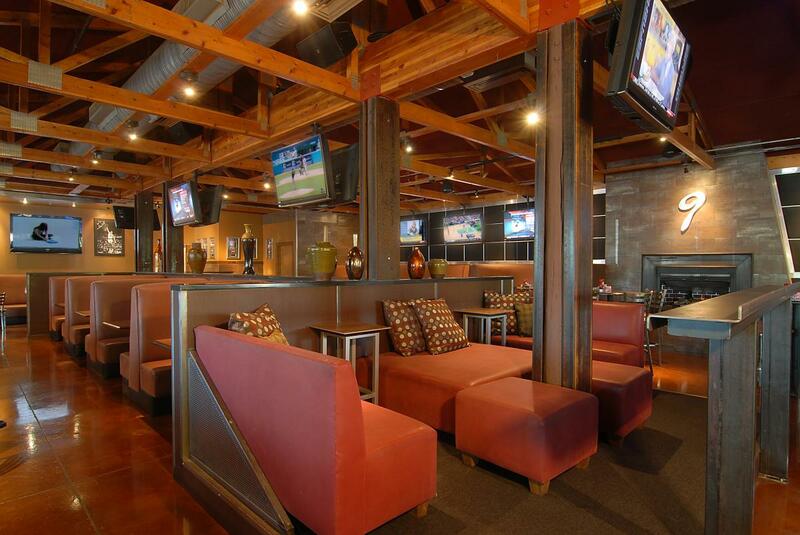 Not only is Chandler Fashion Center one of the premier shopping malls in the Valley, but it’s also a great destination for dining out, whether you’re looking for a family-friendly venue, planning a date night, or hoping to score some happy hour deals. Hop Social Tavern features an entirely-scratch made Americana menu and 52 beers on tap - beer enthusiasts may try a new one every week. Big on ambiance, the restaurant has a modern, industrial vibe and features an Chef&apos;s table for eight next to the exposed kitchen. The restaurant also features a twice daily happy hour from 3 - 6 p.m. and 9:30 p.m. to close. This casual, muscle car-loving restaurant takes its name from the Spanish word for beer, “cerveza,” and although it has an impressive list of Mexican and craft beers on tap, the real draw is the food made from family recipes. But, these aren’t just any family’s recipes. Owner Raymon Flores is a member of the family behind El Charro Café in Tucson, the oldest Mexican restaurant in continuous operation by the same family in America. Start your meal at Sir Veza’s with guacamole, chimichanga bites, or nachos. Much of the menu consists of options that can be turned into tacos, burritos, or bowls, or you can order from one of five different salads. Also available is the “Sirnoran” dog, the restaurant’s take on the Sonoran dog, a hot dog wrapped with bacon and topped with charro beans and salsa. 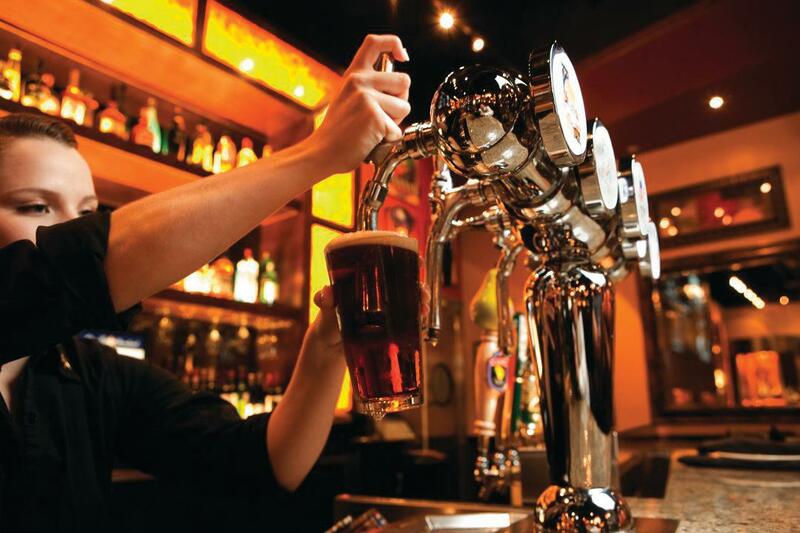 Beer lovers flock to BJ’s Restaurant & Brewhouse for its 11 award-winning signature beers and cider on tap plus rotating seasonal selections, but you don’t have to raise a pint to appreciate the extensive menu. Popular items include the fish ‘n’ chips made with BJ’s Brewhouse Blonde, cherry chipotle-glazed salmon, and chop salads. Gluten-free offerings are available, and the kitchen will work with you if you have other special dietary needs. Save room for BJ’s signature dessert, the Pizzookie®, a pan-baked chocolate chip cookie topped with a scoop of ice cream. 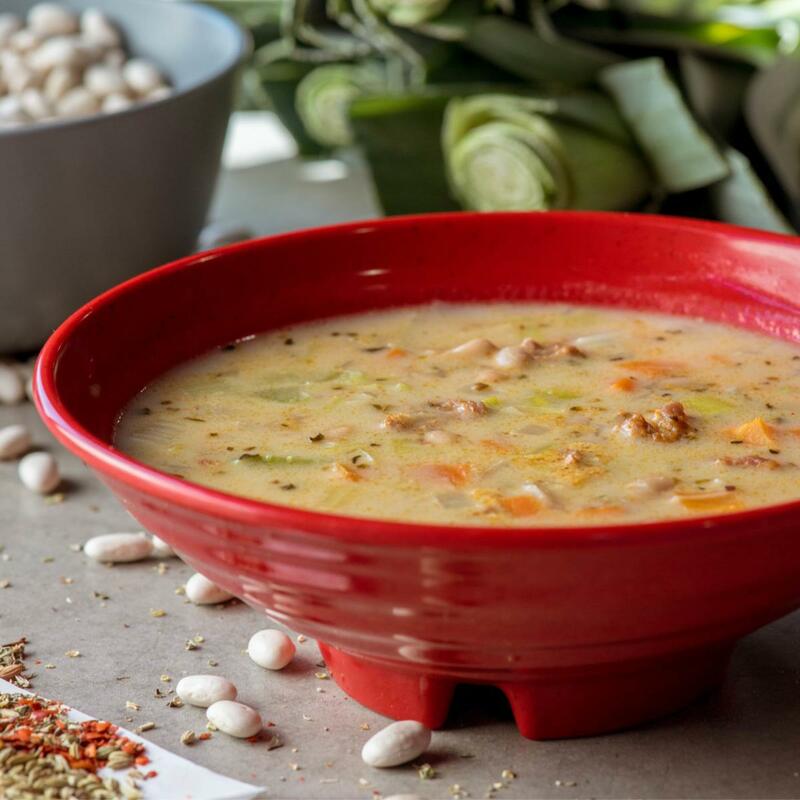 This chain out of Utah serves soups, salads, sandwiches, and quinoa bowls made from scratch, every day. Emphasis is on fresh. Café Zupas won’t even start with pre-cut lettuce; its staff chops lettuce heads every morning. You’ll taste the difference. Try the Maui Tropical Chicken or the Strawberry Harvest Chicken salads, both made with sliced chicken breast and fresh fruit. Or, order a soup—the lobster bisque gets rave reviews. Meals come with a roll and chocolate-covered strawberry. Café Zupas is a good option for lunch or a meal on the go. Many of the menu items are named for sports personalities or reference Majerle’s basketball days, like the Sir Charles Southwest Chicken Pasta, named in honor of teammate Charles Barkley. Wildflower Bread Company serves breakfast, lunch, and dinner. For breakfast, try the frittatas, cinnamon brioche French toast, bagels, or baked goods; for lunch or dinner, choose from hot or cold sandwiches, soup, salad, and pasta. Kids 12 and under have plenty of options, including a grilled cheese sandwich and PB&J, and all meals come with a small milk or soda, fresh fruit, and chocolate cookie after lunch and dinner. The restaurant also serves kids a complimentary cookie, milk, and activity every Wednesday from 3:30 p.m. to 4 p.m. 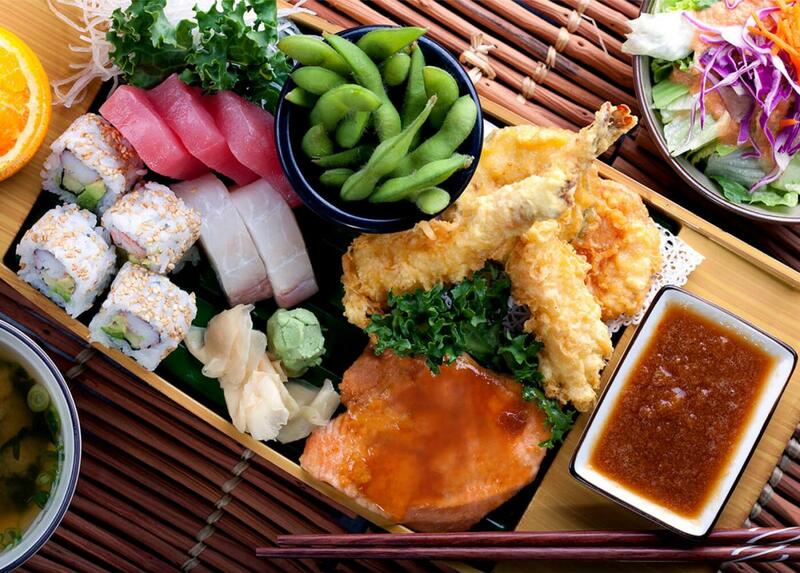 This Arizona-based restaurant chain features lighter, Asian-inspired fare and has one of the best happy hours around with $5 appetizers, select sushi rolls, and house drinks. Even better, you can order from the happy hour menu all day Sunday. If you want a meal, try one of the 10 salads or entrées ranging from macadamia nut chicken to the teriyaki-marinated ribeye. Or, indulge in the traditional and creative sushi offerings. 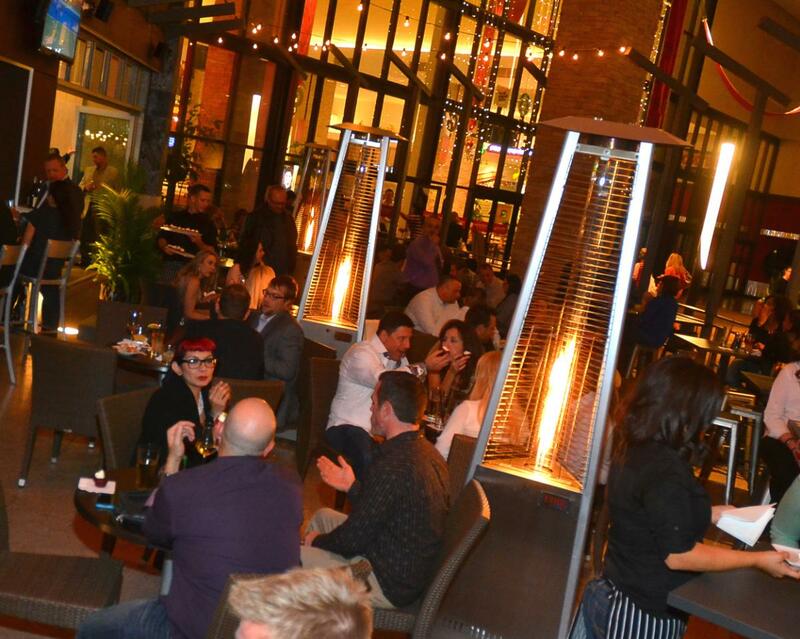 Kona Grill has both indoor seating and a large, covered patio. Famous Dave’s also has a great happy hour with $1 ribs (limit 4), $2 short drafts, $3 tall drafts, $3 glasses of wine, and half-priced appetizers available only in the bar and on the patio, but most people come to chow down on a hearty meal of BBQ ribs, brisket, fried chicken, or fried catfish served in the restaurant. The Minneapolis-based BBQ joint isn’t short on ambiance. Drinks come served in mason jars, and the tables are decked in red-and-white-checked tablecloths. If you like what you order, you can purchase the Famous Dave&apos;s BBQ sauces, rubs, and pickles to enjoy at home. This international chain got its start locally and is still a Valley favorite for its fresh, wok-seared entrées. Kick off your evening with a craft cocktail, sake, plum wine, or beer. P.F. Chang’s also has several non-alcoholic options, including a house-made ginger beer, too. By far, the most popular offering is the lettuce wraps, tasty ground chicken you spoon into a crisp lettuce leaf, fold, and eat, but the Mongolian beef is also a hit. Gluten-free options are available, and even though there’s a kids’ menu, too, you may want to leave them with a sitter—P.F. Chang’s is perfect for date night. 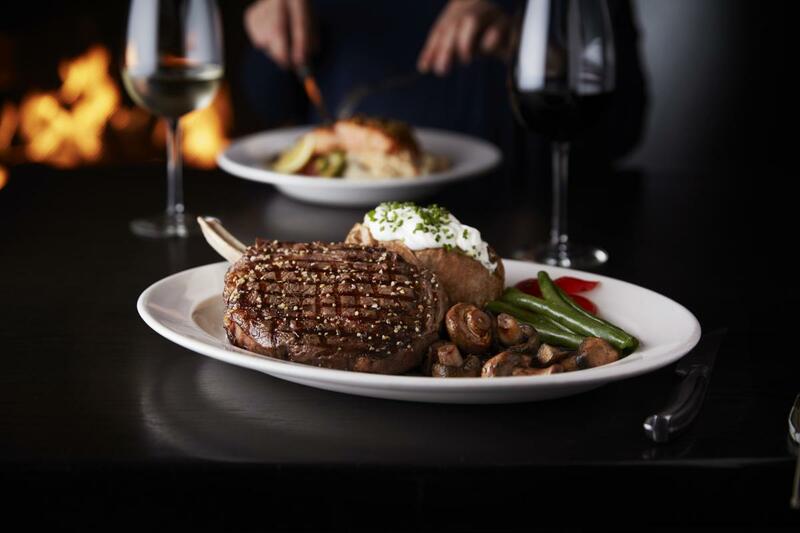 With its leather booths and low lighting broken by the glow of a fireplace, The Keg Steakhouse + Bar is another great restaurant for date night. Plan on ordering appetizers. The Keg serves classic starters such as baked brie, French onion soup, and escargot that you can pair with wine by the bottle or the glass. For dinner, choose from popular cuts like filet, prime rib or NY strip. Or, opt for ribs, chicken, and even lobster. If you’re looking for something more casual, you’ll find ribs and burgers on the menu, too, as well as gluten-free options. The first teppanyaki restaurant in America, Benihana is as much entertainment as a dining experience. Guests eat communally—eight to a table—around a teppanyaki grill manned by a skilled chef who prepares the meal before them. Dinner starts with soup and salad, continues with rice and veggies, and ends with meat. Rather have more privacy? You can eat sushi and dishes from the kitchen at private tables. Chandler Fashion Center has plenty of other options if none of these fits the bill for your next meal, including Firebirds Wood Fired Grill, Buffalo Wild Wings, California Pizza Kitchen, Chili’s, The Cheesecake Factory, and The Old Spaghetti Factory.